Garage Equipment Online stocks the Crypton range of professional automotive servicing equipment, this listing features the Crypton Class 4 ATL MOT bay, the Crypton brand is widely recognised as a market leader in the UK for providing a wide range of superior DVSA approved MOT equipment to large national chains and small family run garage workshops alike. People choose Crypton for their outstanding reputation in the field of automotive workshop equipment and for when they are looking to make an investment in their business that will work as hard as they do for many years to come. 1x Crypton European 4 Post ATL Lift with UK Regulated 24v Control Box CE Certified. 1x UK Manufactured Combined Emissions Analyser. 1x European Manufactured Recessed Wheel Play Detectors with Remote Control and LED Torch. 1x Turntables Integrated into 4 Post ATL Lift. 2x 500 mm Diameter Convex Inspection Mirrors. 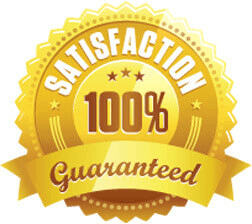 Highly Attractive Finance Options Available, Spread the Cost with 100% Tax Deductible Easy to Manage Payments. Site Survey and CAD Drawings Included. Delivery and Installation Included in the Price. Available in 4.6, 5.2 and 5.7 Metre Platform Versions. Safety Device that Activates in the Event of a Sudden Loss in Pressure for example a Fractured Hydraulic Hose. Attractive Checker Plate Surface, Looks Great and Protects Against Corrosion. Maximum Lifting Height 1830 mm. Width to Outside of Posts 3080 mm. Power Supply 400 v 50Hz 3 Phase. 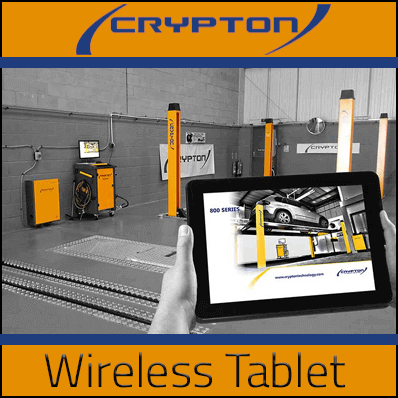 This wireless tablet is an optional extra and is usually priced at an additional £399.00 + VAT, when you purchase a complete Crypton ATL MoT bay package from Garage Equipment Online we will include it for FREE!. Crypton will provide you with your very own personally appointed project manager to assist you with the design planning and installation of your European and UK Manufactured Class Four Automated Test Lane MOT Bay. Your MOT Bay Installation project manager will also assist you in liaising with VOSA (Vehicle and Operator Services Agency) ensuring that the installation of your class 4 ATL Bay runs as smoothly as possible from start to finish. Crypton MOT Bays quality and professionalism ingrained into every detail, to order your class 4 ATL MOT package call Garage Equipment Online Today on +44 (0)151 601 4945.